"Mabs" redirects here. For other uses, see Mab. A general representation of the method used to produce monoclonal antibodies. Monoclonal antibodies (mAb or moAb) are antibodies that are made by identical immune cells that are all clones of a unique parent cell. Monoclonal antibodies can have monovalent affinity, in that they bind to the same epitope (the part of an antigen that is recognized by the antibody). In contrast, polyclonal antibodies bind to multiple epitopes and are usually made by several different plasma cell (antibody secreting immune cell) lineages. Bispecific monoclonal antibodies can also be engineered, by increasing the therapeutic targets of one single monoclonal antibody to two epitopes. White blood cells are the cells of the immune system that are involved in protecting the body against both infectious disease and foreign invaders. All white blood cells are produced and derived from multipotent cells in the bone marrow known as hematopoietic stem cells. Leukocytes are found throughout the body, including the blood and lymphatic system. Given almost any substance, it is possible to produce monoclonal antibodies that specifically bind to that substance; they can then serve to detect or purify that substance. This has become an important tool in biochemistry, molecular biology, and medicine. When used as medications, non-proprietary drug names end in -mab (see "Nomenclature of monoclonal antibodies") and many immunotherapy specialists use the word mab anacronymically. The idea of "magic bullets" was first proposed by Paul Ehrlich, who, at the beginning of the 20th century, postulated that, if a compound could be made that selectively targeted a disease-causing organism, then a toxin for that organism could be delivered along with the agent of selectivity. He and Élie Metchnikoff received the 1908 Nobel Prize for Physiology or Medicine for this work, which led to an effective syphilis treatment by 1910. The magic bullet was a scientific concept developed by a German Nobel laureate Paul Ehrlich in 1900. While working at the Institute of Experimental Therapy, Ehrlich formed an idea that it could be possible to kill specific microbes that cause diseases without harming the body itself. He named the hypothetical agent as Zauberkugel, the magic bullet. He envisioned that just like a bullet fired from a gun to hit a specific target, there could be a way to specifically target invading microbes. His continued research to discover the magic bullet resulted in further knowledge of the functions of the body's immune system, and in the development of Salvarsan, the first effective drug for syphilis, in 1909. His works were the foundation of immunology, and for his contributions he shared the 1908 Nobel Prize in Physiology or Medicine with Élie Metchnikoff. Paul Ehrlich was a Nobel prize-winning German-Jewish physician and scientist who worked in the fields of hematology, immunology, and antimicrobial chemotherapy. He is credited with finding a cure for syphilis in 1909. He invented the precursor technique to Gram staining bacteria. The methods he developed for staining tissue made it possible to distinguish between different types of blood cells, which led to the capability to diagnose numerous blood diseases. Multiple myeloma, also known as plasma cell myeloma, is a cancer of plasma cells, a type of white blood cell normally responsible for producing antibodies. Often, no symptoms are noticed initially. When advanced, bone pain, bleeding, frequent infections, and anemia may occur. Complications may include amyloidosis. In immunology, antigens (Ag) are structures specifically bound by antibodies (Ab) or a cell surface version of Ab ~ B cell antigen receptor (BCR). The term antigen originally described a structural molecule that binds specifically to an antibody only in the form of native antigen. It was expanded later to refer to any molecule or a linear molecular fragment after processing the native antigen that can be recognized by T-cell receptor (TCR). BCR and TCR are both highly variable antigen receptors diversified by somatic V(D)J recombination. Both T cells and B cells are cellular components of adaptive immunity. The Ag abbreviation stands for an antibody generator. Georges Jean Franz Köhler was a German biologist. César Milstein, CH, FRS was an Argentinian biochemist in the field of antibody research. 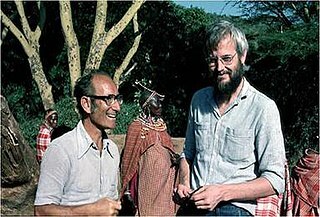 Milstein shared the Nobel Prize in Physiology or Medicine in 1984 with Niels Kaj Jerne and Georges J. F. Köhler. In 1988, Greg Winter and his team pioneered the techniques to humanize monoclonal antibodies,  eliminating the reactions that many monoclonal antibodies caused in some patients. Sir Gregory Paul Winter is a Nobel Prize-winning British biochemist best known for his work on the therapeutic use of monoclonal antibodies. His research career has been based almost entirely at the MRC Laboratory of Molecular Biology and the MRC Centre for Protein Engineering, in Cambridge, England. He is credited with invented techniques to both humanise (1986) and, later, to fully humanise using phage display, antibodies for therapeutic uses. Previously, antibodies had been derived from mice, which made them difficult to use in human therapeutics because the human immune system had anti-mouse reactions to them. 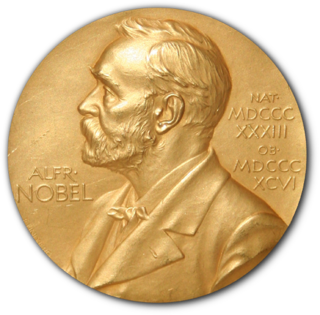 For these developments Winter was awarded the 2018 Nobel Prize in Chemistry along with George Smith and Frances Arnold. Much of the work behind production of monoclonal antibodies is rooted in the production of hybridomas, which involves identifying antigen-specific plasma/plasmablast cells (ASPCs) that produce antibodies specific to an antigen of interest and fusing these cells with myeloma cells. [ citation needed ] Rabbit B-cells can be used to form a rabbit hybridoma. Polyethylene glycol is used to fuse adjacent plasma membranes,  but the success rate is low, so a selective medium in which only fused cells can grow is used. This is possible because myeloma cells have lost the ability to synthesize hypoxanthine-guanine-phosphoribosyl transferase (HGPRT), an enzyme necessary for the salvage synthesis of nucleic acids. The absence of HGPRT is not a problem for these cells unless the de novo purine synthesis pathway is also disrupted. Exposing cells to aminopterin (a folic acid analogue, which inhibits dihydrofolate reductase, DHFR), makes them unable to use the de novo pathway and become fully auxotrophic for nucleic acids, thus requiring supplementation to survive. The selective culture medium is called HAT medium because it contains hypoxanthine, aminopterin and thymidine. This medium is selective for fused (hybridoma) cells. Unfused myeloma cells cannot grow because they lack HGPRT and thus cannot replicate their DNA. Unfused spleen cells cannot grow indefinitely because of their limited life span. Only fused hybrid cells, referred to as hybridomas, are able to grow indefinitely in the medium because the spleen cell partner supplies HGPRT and the myeloma partner has traits that make it immortal (similar to a cancer cell). This mixture of cells is then diluted and clones are grown from single parent cells on microtitre wells. The antibodies secreted by the different clones are then assayed for their ability to bind to the antigen (with a test such as ELISA or Antigen Microarray Assay) or immuno-dot blot. The most productive and stable clone is then selected for future use. The hybridomas can be grown indefinitely in a suitable cell culture medium. They can also be injected into mice (in the peritoneal cavity, surrounding the gut). There, they produce tumors secreting an antibody-rich fluid called ascites fluid. Several monoclonal antibody technologies had been developed recently, such as phage display, single B cell culture,  single cell amplification from various B cell populations      and single plasma cell interrogation technologies. 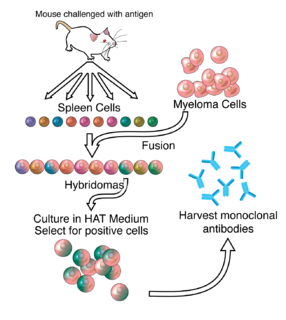 Different from traditional hybridoma technology, the newer technologies use molecular biology techniques to amplify the heavy and light chains of the antibody genes by PCR and produce in either bacterial or mammalian systems with recombinant technology. One of the advantages of the new technologies is applicable to multiple animals, such as rabbit, llama, chicken and other common experimental animals in the laboratory. After obtaining either a media sample of cultured hybridomas or a sample of ascites fluid, the desired antibodies must be extracted. Cell culture sample contaminants consist primarily of media components such as growth factors, hormones and transferrins. In contrast, the in vivo sample is likely to have host antibodies, proteases, nucleases, nucleic acids and viruses. In both cases, other secretions by the hybridomas such as cytokines may be present. There may also be bacterial contamination and, as a result, endotoxins that are secreted by the bacteria. Depending on the complexity of the media required in cell culture and thus the contaminants, one or the other method (in vivo or in vitro) may be preferable. The sample is first conditioned, or prepared for purification. Cells, cell debris, lipids and clotted material are first removed, typically by centrifugation followed by filtration with a 0.45 µm filter. These large particles can cause a phenomenon called membrane fouling in later purification steps. In addition, the concentration of product in the sample may not be sufficient, especially in cases where the desired antibody is produced by a low-secreting cell line. The sample is therefore concentrated by ultrafiltration or dialysis. Most of the charged impurities are usually anions such as nucleic acids and endotoxins. These can be separated by ion exchange chromatography. Either cation exchange chromatography is used at a low enough pH that the desired antibody binds to the column while anions flow through, or anion exchange chromatography is used at a high enough pH that the desired antibody flows through the column while anions bind to it. Various proteins can also be separated along with the anions based on their isoelectric point (pI). In proteins, the isoelectric point (pI) is defined as the pH at which a protein has no net charge. When the pH > pI, a protein has a net negative charge, and when the pH < pI, a protein has a net positive charge. For example, albumin has a pI of 4.8, which is significantly lower than that of most monoclonal antibodies, which have a pI of 6.1. Thus, at a pH between 4.8 and 6.1, the average charge of albumin molecules is likely to be more negative, while mAbs molecules are positively charged and hence it is possible to separate them. Transferrin, on the other hand, has a pI of 5.9, so it cannot be easily separated by this method. A difference in pI of at least 1 is necessary for a good separation. Transferrin can instead be removed by size exclusion chromatography. This method is one of the more reliable chromatography techniques. Since we are dealing with proteins, properties such as charge and affinity are not consistent and vary with pH as molecules are protonated and deprotonated, while size stays relatively constant. Nonetheless, it has drawbacks such as low resolution, low capacity and low elution times. A much quicker, single-step method of separation is protein A/G affinity chromatography. The antibody selectively binds to protein A/G, so a high level of purity (generally >80%) is obtained. However, this method may be problematic for antibodies that are easily damaged, as harsh conditions are generally used. A low pH can break the bonds to remove the antibody from the column. In addition to possibly affecting the product, low pH can cause protein A/G itself to leak off the column and appear in the eluted sample. Gentle elution buffer systems that employ high salt concentrations are available to avoid exposing sensitive antibodies to low pH. Cost is also an important consideration with this method because immobilized protein A/G is a more expensive resin. To achieve maximum purity in a single step, affinity purification can be performed, using the antigen to provide specificity for the antibody. In this method, the antigen used to generate the antibody is covalently attached to an agarose support. If the antigen is a peptide, it is commonly synthesized with a terminal cysteine, which allows selective attachment to a carrier protein, such as KLH during development and to support purification. The antibody-containing medium is then incubated with the immobilized antigen, either in batch or as the antibody is passed through a column, where it selectively binds and can be retained while impurities are washed away. An elution with a low pH buffer or a more gentle, high salt elution buffer is then used to recover purified antibody from the support. The production of recombinant monoclonal antibodies involves repertoire cloning or phage display/yeast display technologies. Recombinant antibody engineering involves antibody production by the use of viruses or yeast, rather than mice. These techniques rely on rapid cloning of immunoglobulin gene segments to create libraries of antibodies with slightly different amino acid sequences from which antibodies with desired specificities can be selected. The phage antibody libraries are a variant of phage antigen libraries. These techniques can be used to enhance the specificity with which antibodies recognize antigens, their stability in various environmental conditions, their therapeutic efficacy and their detectability in diagnostic applications. Fermentation chambers have been used for large scale antibody production. Ever since the discovery that monoclonal antibodies could be generated, scientists have targeted the creation of fully human products to reduce the side effects of humanised or chimeric antibodies. Two successful approaches have been identified: transgenic mice  and phage display. As of November 2016, thirteen of the nineteen fully human monoclonal antibody therapeutics on the market were derived from transgenic mice technology. Monoclonal antibodies have been approved to treat cancer, cardiovascular disease, inflammatory diseases, macular degeneration, transplant rejection, multiple sclerosis and viral infection. Once monoclonal antibodies for a given substance have been produced, they can be used to detect the presence of this substance. The Western blot test and immuno dot blot tests detect the protein on a membrane. They are also very useful in immunohistochemistry, which detect antigen in fixed tissue sections and immunofluorescence test, which detect the substance in a frozen tissue section or in live cells. Antibodies can also be used to purify their target compounds from mixtures, using the method of immunoprecipitation. One possible treatment for cancer involves monoclonal antibodies that bind only to cancer cell-specific antigens and induce an immune response against the target cancer cell. Such mAbs can be modified for delivery of a toxin, radioisotope, cytokine or other active conjugate or to design bispecific antibodies that can bind with their Fab regions both to target antigen and to a conjugate or effector cell. Every intact antibody can bind to cell receptors or other proteins with its Fc region. Monoclonal antibodies for cancer. 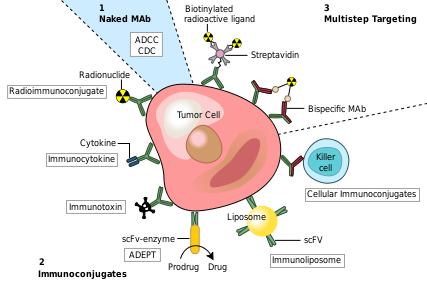 ADEPT, antibody directed enzyme prodrug therapy; ADCC: antibody dependent cell-mediated cytotoxicity; CDC: complement-dependent cytotoxicity; MAb: monoclonal antibody; scFv, single-chain Fv fragment. Monoclonal antibodies used for autoimmune diseases include infliximab and adalimumab, which are effective in rheumatoid arthritis, Crohn's disease, ulcerative colitis and ankylosing spondylitis by their ability to bind to and inhibit TNF-α. Basiliximab and daclizumab inhibit IL-2 on activated T cells and thereby help prevent acute rejection of kidney transplants. Omalizumab inhibits human immunoglobulin E (IgE) and is useful in treating moderate-to-severe allergic asthma. For a more comprehensive list, see List of monoclonal antibodies. Monoclonal antibodies for research applications can be found directly from antibody suppliers, or through use of a specialist search engine like CiteAb. Below are examples of clinically important monoclonal antibodies. Hybridoma technology is a method for producing large numbers of identical antibodies. This process starts by injecting a mouse with an antigen that provokes an immune response. A type of white blood cell, the B cell, produces antibodies that bind to the injected antigen. These newly produced antibodies are then harvested from the mouse. These isolated B cells are in turn fused with immortal B cell cancer cells, a myeloma, to produce a hybrid cell line called a hybridoma, which has both the antibody-producing ability of the B-cell and the exaggerated longevity and reproductivity of the myeloma. The hybridomas can be grown in culture, each culture starting with one viable hybridoma cell, producing cultures each of which consists of genetically identical hybridomas which produce one antibody per culture (monoclonal) rather than mixtures of different antibodies (polyclonal). The myeloma cell line that is used in this process is selected for its ability to grow in tissue culture and for an absence of antibody synthesis. In contrast to polyclonal antibodies, which are mixtures of many different antibody molecules, the monoclonal antibodies produced by each hybridoma line are all chemically identical. Phage display is a laboratory technique for the study of protein–protein, protein–peptide, and protein–DNA interactions that uses bacteriophages to connect proteins with the genetic information that encodes them. In this technique, a gene encoding a protein of interest is inserted into a phage coat protein gene, causing the phage to "display" the protein on its outside while containing the gene for the protein on its inside, resulting in a connection between genotype and phenotype. These displaying phages can then be screened against other proteins, peptides or DNA sequences, in order to detect interaction between the displayed protein and those other molecules. In this way, large libraries of proteins can be screened and amplified in a process called in vitro selection, which is analogous to natural selection. Affinity chromatography is a method of separating biochemical mixture based on a highly specific interaction between antigen and antibody, enzyme and substrate, receptor and ligand, or protein and nucleic acid. It is a type of chromatographic laboratory technique used for purifying biological molecules within a mixture by exploiting molecular properties. Epitope mapping is the process of experimentally identifying the binding site, or "epitope", of an antibody on its target antigen. Identification and characterization of antibody binding sites aid in the discovery and development of new therapeutics, vaccines, and diagnostics. Epitope characterization can also help elucidate the mechanism of binding for an antibody and can strength intellectual property (patent) protection. Experimental epitope mapping data can be incorporated into robust algorithms to facilitate in silico prediction of B-cell epitopes based on sequence and/or structural data. A single-domain antibody (sdAb) is an antibody fragment consisting of a single monomeric variable antibody domain. Like a whole antibody, it is able to bind selectively to a specific antigen. With a molecular weight of only 12–15 kDa, single-domain antibodies are much smaller than common antibodies which are composed of two heavy protein chains and two light chains, and even smaller than Fab fragments and single-chain variable fragments. The antibody-dependent cellular cytotoxicity (ADCC), also referred to as antibody-dependent cell-mediated cytotoxicity, is a mechanism of cell-mediated immune defense whereby an effector cell of the immune system actively lyses a target cell, whose membrane-surface antigens have been bound by specific antibodies. It is one of the mechanisms through which antibodies, as part of the humoral immune response, can act to limit and contain infection. 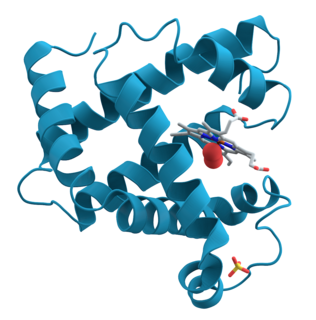 Protein A is a 42 kDa surface protein originally found in the cell wall of the bacteria Staphylococcus aureus. It is encoded by the spa gene and its regulation is controlled by DNA topology, cellular osmolarity, and a two-component system called ArlS-ArlR. It has found use in biochemical research because of its ability to bind immunoglobulins. It is composed of five homologous Ig-binding domains that fold into a three-helix bundle. Each domain is able to bind proteins from many mammalian species, most notably IgGs. It binds the heavy chain within the Fc region of most immunoglobulins and also within the Fab region in the case of the human VH3 family. Through these interactions in serum, where IgG molecules are bound in the wrong orientation, the bacteria disrupts opsonization and phagocytosis. Monoclonal antibody therapy is a form of immunotherapy that uses monoclonal antibodies (mAb) to bind monospecifically to certain cells or proteins. The objective is that this treatment will stimulate the patient's immune system to attack those cells. Alternatively, in radioimmunotherapy a radioactive dose localizes a target cell line, delivering lethal chemical doses. More recently antibodies have been used to bind to molecules involved in T-cell regulation to remove inhibitory pathways that block T-cell responses. This is known as immune checkpoint therapy. A bispecific monoclonal antibody is an artificial protein that can simultaneously bind to two different types of antigen. BsMabs can be manufactured in several structural formats, and current applications have been explored for cancer immunotherapy and drug delivery. Human anti-mouse antibody (HAMA) or Human anti-murine antibody is an antibody found in humans which reacts to immunoglobins found in mice. Monospecific antibodies are antibodies whose specificity to antigens is singular in any of several ways: antibodies that all have affinity for the same antigen; antibodies that are specific to one antigen or one epitope; or antibodies specific to one type of cell or tissue. Monoclonal antibodies are monospecific, but monospecific antibodies may also be produced by other means than producing them from a common germ cell. Regarding antibodies, monospecific and monovalent overlap in meaning; both can indicate specificity to one antigen, one epitope, or one cell type. However, antibodies that are monospecific to a certain tissue, or all monospecific to the same tissue because clones, can be polyvalent in their epitope binding. A trifunctional antibody is a monoclonal antibody with binding sites for two different antigens, typically CD3 and a tumor antigen, making it a type of bispecific monoclonal antibody. In addition, its intact Fc-part can bind to an Fc receptor on accessory cells like conventional monospecific antibodies. The net effect is that this type of drug links T cells and monocytes/macrophages, natural killer cells, dendritic cells or other Fc receptor expressing cells to the tumor cells, leading to their destruction. Synthetic antibodies are affinity reagents generated entirely in vitro, thus completely eliminating animals from the production process. Synthetic antibodies include recombinant antibodies, nucleic acid aptamers and non-immunoglobulin protein scaffolds. As a consequence of their in vitro manufacturing method the antigen recognition site of synthetic antibodies can be engineered to any desired target and may extend beyond the typical immune repertoire offered by natural antibodies. Synthetic antibodies are being developed for use in research, diagnostic and therapeutic applications. 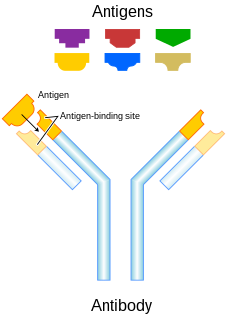 Synthetic antibodies can be used in all applications where traditional monoclonal or polyclonal antibodies are used and offer many inherent advantages over animal-derived antibodies, including comparatively low production costs, reagent reproducibility and increased affinity, specificity and stability across a range of experimental conditions. Recombinant antibodies are antibody fragments produced by using recombinant antibody coding genes. They mostly consist of a heavy and light chain of the variable region of immunoglobulin. Recombinant antibodies have many advantages in both medical and research applications, which make them a popular subject of exploration and new production against specific targets. The most commonly used form is the single chain variable fragment (scFv), which has shown the most promising traits exploitable in human medicine and research. In contrast to monoclonal antibodies produced by hybridoma technology, which may lose the capacity to produce the desired antibody over time or the antibody may undergo unwanted changes, which affect its functionality, recombinant antibodies produced in phage display maintain high standard of specificity and low immunogenicity. ↑ "Cytochrome P450 Mediated Drug and Carcinogen Metabolism using Monoclonal Antibodies". home.ccr.cancer.gov. Retrieved 2018-04-02. ↑ Gelboin, Harry V; Krausz, Kristopher W; Gonzalez, Frank J; Yang, Tian J (1999-11-01). "Inhibitory monoclonal antibodies to human cytochrome P450 enzymes: a new avenue for drug discovery". Trends in Pharmacological Sciences. 20 (11): 432–8. doi:10.1016/S0165-6147(99)01382-6. ISSN 0165-6147. PMID 10542439. ↑ Tansey EM, Catterall PP (Jul 1994). "Monoclonal antibodies: a witness seminar in contemporary medical history". Med. Hist. 38 (3): 322–7. doi:10.1017/s0025727300036632. PMC 1036884 . PMID 7934322. ↑ Riechmann L, Clark M, Waldmann H, Winter G (1988). "Reshaping human antibodies for therapy". Nature. 332 (6162): 323–7. Bibcode:1988Natur.332..323R. doi:10.1038/332323a0. PMID 3127726. ↑ Yang J1, Shen MH. Polyethylene glycol-mediated cell fusion. Methods Mol Biol. 2006; 325:59-66. ↑ Seeber, Stefan; Ros, Francesca; Thorey, Irmgard; Tiefenthaler, Georg; Kaluza, Klaus; Lifke, Valeria; Fischer, Jens André Alexander; Klostermann, Stefan; Endl, Josef (2014). "A Robust High Throughput Platform to Generate Functional Recombinant Monoclonal Antibodies Using Rabbit B Cells from Peripheral Blood". PLoS ONE. 9 (2): e86184. Bibcode:2014PLoSO...986184S. doi:10.1371/journal.pone.0086184. PMC 3913575 . PMID 24503933. ↑ Wardemann, Hedda; Yurasov, Sergey; Schaefer, Anne; Young, James W.; Meffre, Eric; Nussenzweig, Michel C. (2003-09-05). "Predominant autoantibody production by early human B cell precursors". Science. 301 (5638): 1374–1377. Bibcode:2003Sci...301.1374W. doi:10.1126/science.1086907. ISSN 1095-9203. PMID 12920303. ↑ Koelsch, Kristi; Zheng, Nai-Ying; Zhang, Qingzhao; Duty, Andrew; Helms, Christina; Mathias, Melissa D.; Jared, Mathew; Smith, Kenneth; Capra, J. Donald (2007-06-01). "Mature B cells class switched to IgD are autoreactive in healthy individuals". The Journal of Clinical Investigation. 117 (6): 1558–1565. doi:10.1172/JCI27628. ISSN 0021-9738. PMC 1866247 . PMID 17510706. ↑ Smith, Kenneth; Garman, Lori; Wrammert, Jens; Zheng, Nai-Ying; Capra, J. Donald; Ahmed, Rafi; Wilson, Patrick C. (2009-01-01). "Rapid generation of fully human monoclonal antibodies specific to a vaccinating antigen". Nature Protocols. 4 (3): 372–384. doi:10.1038/nprot.2009.3. ISSN 1750-2799. PMC 2750034 . PMID 19247287. ↑ Duty, J. Andrew; Szodoray, Peter; Zheng, Nai-Ying; Koelsch, Kristi A.; Zhang, Qingzhao; Swiatkowski, Mike; Mathias, Melissa; Garman, Lori; Helms, Christina (2009-01-16). "Functional anergy in a subpopulation of naive B cells from healthy humans that express autoreactive immunoglobulin receptors". The Journal of Experimental Medicine. 206 (1): 139–151. doi:10.1084/jem.20080611. ISSN 1540-9538. PMC 2626668 . PMID 19103878. ↑ Huang, Jinghe; Doria-Rose, Nicole A.; Longo, Nancy S.; Laub, Leo; Lin, Chien-Li; Turk, Ellen; Kang, Byong H.; Migueles, Stephen A.; Bailer, Robert T. (2013-10-01). "Isolation of human monoclonal antibodies from peripheral blood B cells". Nature Protocols. 8 (10): 1907–1915. doi:10.1038/nprot.2013.117. ISSN 1754-2189. PMC 4844175 . PMID 24030440. ↑ Vlasak J, Ionescu R (2008). "Hetergeneity of Monoclonal Antibodies Revealed by Charge-Sensitive Methods". Current Pharmaceutical Biotechnology. 9 (6): 468–481. doi:10.2174/138920108786786402. PMID 19075686. ↑ Beck A, Wurch T, Bailly C, Corvaia N (May 2010). "Strategies and challenges for the next generation of therapeutic antibodies". Nat. Rev. Immunol. 10 (5): 345–52. doi:10.1038/nri2747. PMID 20414207. ↑ Khawli LA, Goswami S, Hutchinson R, Kwong ZW, Yang J, Wang X, Yao Z, Sreedhara A, Cano T, Tesar D, Nijem I, Allison DE, Wong PY, Kao YH, Quan C, Joshi A, Harris RJ, Motchnik P (2010). "Charge variants in IgG1: Isolation, characterization, in vitro binding properties and pharmacokinetics in rats". mAbs. 2 (6): 613–24. doi:10.4161/mabs.2.6.13333. PMC 3011216 . PMID 20818176. ↑ Zhang T, Bourret J, Cano T (August 2011). "Isolation and characterization of therapeutic antibody charge variants using cation exchange displacement chromatography". J Chromatogr A. 1218 (31): 5079–86. doi:10.1016/j.chroma.2011.05.061. PMID 21700290. ↑ Rathore AS, Winkle H (January 2009). "Quality by design for biopharmaceuticals". Nat. Biotechnol. 27 (1): 26–34. doi:10.1038/nbt0109-26. PMID 19131992. ↑ Siegel DL (2002). "Recombinant monoclonal antibody technology". Transfusion Clinique et Biologique : Journal de la Société Française de Transfusion Sanguine. 9 (1): 15–22. doi:10.1016/S1246-7820(01)00210-5. PMID 11889896. ↑ "Dr. George Pieczenik". LMB Alumni. MRC Laboratory of Molecular Biology (LMB). 17 September 2009. ↑ Schmitz U, Versmold A, Kaufmann P, Frank HG (2000). "Phage display: a molecular tool for the generation of antibodies—a review". Placenta. 21 (Suppl A): S106–S112. doi:10.1053/plac.1999.0511. PMID 10831134. ↑ Chadd HE, Chamow SM (April 2001). "Therapeutic antibody expression technology". Curr. Opin. Biotechnol. 12 (2): 188–94. doi:10.1016/S0958-1669(00)00198-1. PMID 11287236. ↑ Lonberg N, Huszar D (1995). "Human antibodies from transgenic mice". Int. Rev. Immunol. 13 (1): 65–93. doi:10.3109/08830189509061738. PMID 7494109. ↑ "Bristol-Myers Buys Medarex Drugmaker for $2.4 Billion (Update3)". ↑ "Amgen Completes Acquisition of Abgenix; Acquisition Provides Amgen with Full Ownership of Panitumumab and Eliminates a Denosumab Royalty". ↑ "Naturally optimized human antibodies". ↑ McCafferty J, Griffiths AD, Winter G, Chiswell DJ (December 1990). "Phage antibodies: filamentous phage displaying antibody variable domains". Nature. 348 (6301): 552–4. Bibcode:1990Natur.348..552M. doi:10.1038/348552a0. PMID 2247164. ↑ Marks JD, Hoogenboom HR, Bonnert TP, McCafferty J, Griffiths AD, Winter G (1991). "By-passing immunization". Journal of Molecular Biology. 222 (3): 581–97. doi:10.1016/0022-2836(91)90498-U. PMID 1748994. ↑ Carmen S, Jermutus L (2002). "Concepts in antibody phage display". Briefings in Functional Genomics and Proteomics. 1 (2): 189–203. doi:10.1093/bfgp/1.2.189. PMID 15239904. ↑ Osbourn JK (2002). Proximity-guided (ProxiMol) antibody selection. Methods Mol. Biol. 178. pp. 201–5. doi:10.1385/1-59259-240-6:201. ISBN 978-1-59259-240-1. PMID 11968489. ↑ Abeloff, MD; Armitage, JO; Niederhuber, JE; Kastan, MB; McKenna, G (2008). "Therapeutic Antibodies and Immunologic Conjugates". Abeloff's Clinical Oncology (4th ed.). Elsevier. ↑ "Cambridge Antibody Technology". Archived from the original on 2011-09-28. ↑ Osbourn JK, Derbyshire EJ, Vaughan TJ, Field AW, Johnson KS (January 1998). "Pathfinder selection: in situ isolation of novel antibodies". Immunotechnology. 3 (4): 293–302. doi:10.1016/S1380-2933(97)10007-0. PMID 9530562. ↑ "The Current State of Proteomic Technology". ↑ PhRMA Reports Identifies More than 400 Biotech Drugs in Development. Pharmaceutical Technology, August 24, 2006. Retrieved 2006-09-04. ↑ FC Breedveld (2000). "Therapeutic monoclonal antibodies". The Lancet. 355 (9205): 735–40. doi:10.1016/S0140-6736(00)01034-5. PMID 10703815. ↑ Australian Prescriber (2006). "Monoclonal antibody therapy for non-malignant disease". ↑ Modified from Carter P (November 2001). "Improving the efficacy of antibody-based cancer therapies". Nat. Rev. Cancer. 1 (2): 118–29. doi:10.1038/35101072. PMID 11905803. 1 2 3 4 5 6 7 8 9 10 Rang, H. P. (2003). Pharmacology. Edinburgh: Churchill Livingstone. pp. 241, for the examples infliximab, basiliximab, abciximab, daclizumab, palivusamab, gemtuzumab, alemtuzumab and rituximab, and mechanism and mode. ISBN 978-0-443-07145-4. ↑ "Monoclonal antibodies to treat cancer | American Cancer Society". www.cancer.org. Retrieved 2018-04-19. ↑ "Monoclonal antibody drugs for cancer: How they work". Mayo Clinic. Retrieved 2018-04-19. 1 2 "Monoclonal Antibodies: List, Types, Side Effects & FDA Uses (Cancer)". MedicineNet. Retrieved 2018-04-19. Antibodypedia, open-access virtual repository publishing data and commentary on any antibodies available to the scientific community.